The Spitfire Symphonic Woodwind Expansion Pack strengthens the patches from SSW, adding alternative (ALT) selections of Close Ribbon (Cr), Stereo Pair (St) and Gallery (G) signals, as well as the inclusion of Outrigger signals to the common CTA, creating CTAO for the ‘classic’ Spitfire setup. On top of this we offer the Fine (F), Medium (M) and Broad (B) stereo mixes, mixed by Jake Jackson, for instant great sounding mixes, with low CPU/RAM usage. 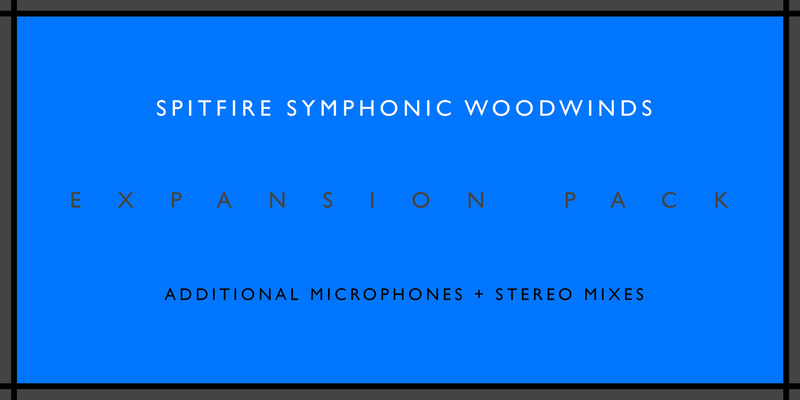 This expansion contains over 167.26GB of additional content to help you make the most of Spitfire Symphonic Woodwinds.